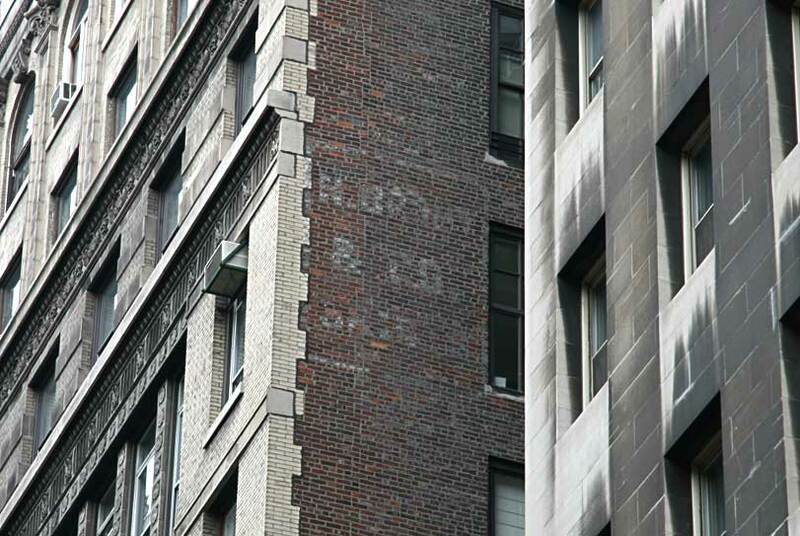 15-17 East 16th St. was a newly constructed building in 1909 when N. Brody & Co. Skirts moved in. The company had been located almost next door at 9-11 E. 16th St. from 1905 to 1909. N. Brody was Nathan Brody (1866-1933). He was born in Poland/Russia and immigrated to the U. S. in the early 1870s. His business can be traced from 1886 through 1932, and he is very possibly the Nathan Brody who was in the drygoods business with his father Samuel L. Brody at 24 Eldridge St. in 1885. (Nathan Brody himself had a son Samuel L. Brody: Samuel Lawrence Brody (1895-1952).) Samuel L. Brody pére can be traced back as far as 1875 when he was listed as a pedlar living at 21 Catharine St.
N. Brody & Co., Separate Skirt Mfrs, were an early entry in the New York telephone directory. They were listed in 1900 at 75 Greene St. with phone number Spring 3254. Brody did business as N. Brody Coat Co. as well as the skirts manufacture. After 1923 Brody seems to have gotten out of garment manufacture and worked, instead, in real estate. His entry in the U. S. Census of 1930 gives "Real Estate" as occupation. This ad for N. Brody Coat Co. appeared in Dry Goods Economist, 16 March 1912, when they were located at 15-17 East 16th St. This ad for N. Brody & Co. appeared in The American Cloak & Suit Review, Jan. 1914, when the company was located at 12-16 W. 27th St.
A partner with Nathan Brody was Louis Saxe (1873-1960s?). He worked with Brody from around 1908 until the early 1920s. Louis Saxe began life as Louis Isaacs and is found as such in the U. S. Census reports of 1900 and 1910. Saxe seems to have changed his name around 1916/17. He is listed as Isaacs in city directories through 1916. In 1917 the name changed to Saxe. Louis Saxe lived at 255 W. 90th St. from as early as 1916/17, and was listed in the Manhattan telephone directory at this address through 1965. 255 W. 90th St. is the Cornwall Apartments, one-time home to Christopher Gray and other notables. (See Gray's article in the New York Times, 5 May 2010.) The Cornwall was designed by the prolific apartment house architects/builders Neville and Bagge. More information in this regard can be found at the N. S. Meyer page. In the telephone directory Louis Saxe's first name was consistently spelled Lewis, but I did not find it in this form in any other source. He registered for the World War I draft in 1918 as "Louis Saxe, 43, born 1 Jan 1873, living at 255 W 90 NY NY NY." He was a manufacturer in business for himself at 12 W. 27th St., which was the address of N. Brody & Co. at that time.